Practice SUP in the fantastic scenery of Villasimius. Paddle and snorkel in transparent seas and discover the most beautiful beaches of Sardinia. The maximum people per group is 8, the minimum is 2. The tour is available to all levels of experience (beginners to advanced). On rare occasions, the course may need to be postponed due to bad weather. What to bring: sunblock, drinking water. Cancellations can be done up to 48 hours before the trip with 100% reimbursement. For later cancellations, there is no compensation. About 35 km (22 mi) from Port of Cagliari is the beautiful Villasimius. The landscape of this ancient village in the south of Sardinia is composed of spectacular scenery. Golden-white sand, transparent water, and intense natural aromas/smells are everywhere along remarkable beaches like Spiaggia di Porto Giunco, Porto Giunco, Simius, and Punta Molentis. You can expect to see and feel all of this during your 3-hour stand up paddleboarding (SUP) tour in Villasimius. 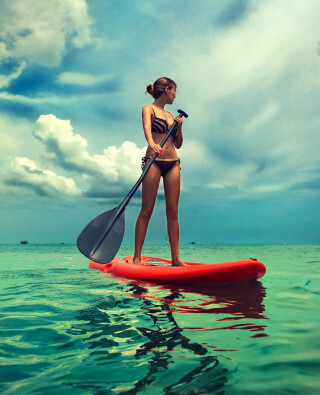 If you are new to SUP, your professional instructor goes through the basics of equipment and the necessary skills for your first go. 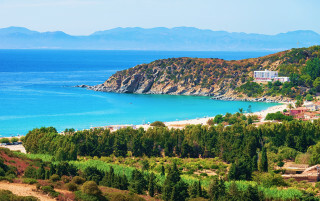 Once you’re comfortable, the astonishing clean water of Villasimius’ beaches is yours to explore. 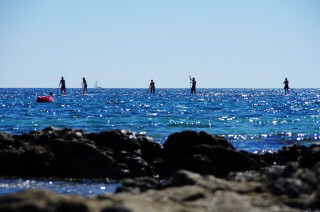 SUP is an easy sport to practice and a fantastic way to experience the beautiful protected marine sea of Villasimius. 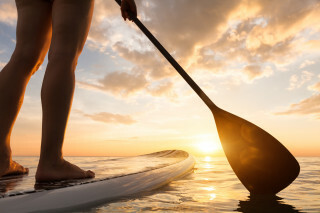 Our SUP tours are done in flat water, and cruising tours are appropriate for all ages and levels of experience. As you paddle along mesmerizing blue seas, you can occasionally take time to explore the underwater world. Just put your snorkel mask on to observe the colorful fish swimming around you. Famous for its great landmarks and rich culture, the area offers explorers a serene and peaceful retreat for the mind, body, and soul. It is an experience to share with your family, friends, and tour-mates. 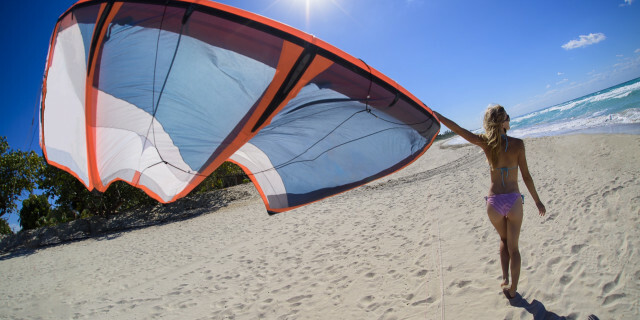 Learn surfing in one of the most popular and beautiful beaches of Cagliari. 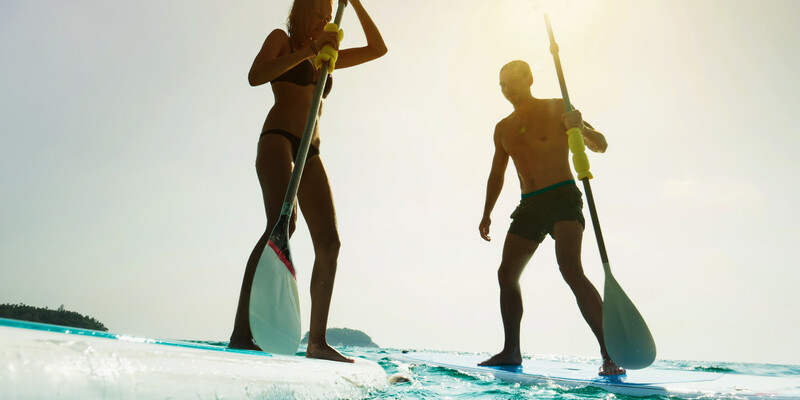 Discover one of the most thrilling water sports out there, and practice with certified professional instructors. 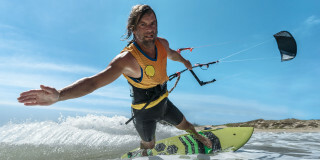 Learn one of the most thrilling water sports in the world. Practice on astonishing beaches.